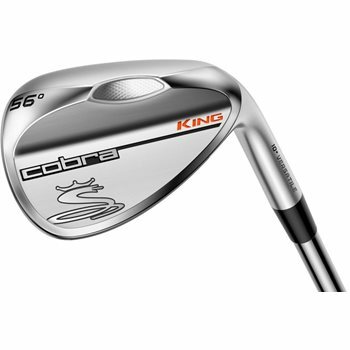 The Cobra King V Grind wedge allows golfers to choose one of three grind options that match their shot making needs and has new face/groove technology to be more precise all around the golf course. The new Progressive Milled Groove design features wider grooves and gapping on weaker lofted clubs and narrower, tighter spaced grooves on stronger lofted clubs to provide optimum spin and trajectory. The Variable Face Roughness delivers an optimized surface to maximize spin and control for greater shot making around the greens. The King wedges also feature new Notch Technology that enables the sole and trailing edge to sit lower to the ground, resulting in the blade height being closer to the ground. The Versatile grind option features toe, heel and trailing edge relief. Review by 2or3balls, 2 years ago.